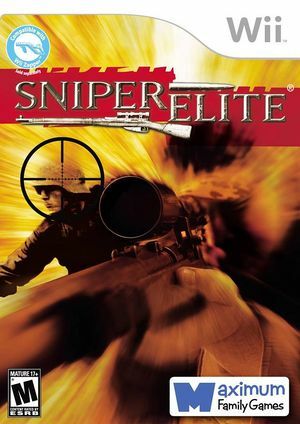 A thrilling console saga gets even more intense as Sniper Elite comes to Wii. It is spring, 1945, the final days of World War II. The Russian Secret Service has descended upon Berlin to steal plans for the A-bomb. You're invisible, elite, and working alone, with the fate of the world entirely in your hands. Infiltrate enemy-occupied territory and stop Stalin's forces from harnessing the world's nuclear technology. The motion-controlled targeting system puts you behind enemy lines like never before as you take out key enemy targets in non-linear levels. Account for heart rate, posture, wind speed, and even your breath to hone your skills and complete your missions. The graph below charts the compatibility with Sniper Elite since Dolphin's 2.0 release, listing revisions only where a compatibility change occurred. This page was last edited on 13 January 2018, at 13:45.